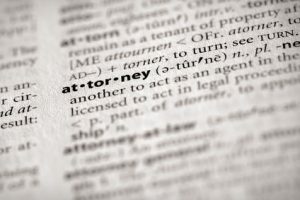 Spousal Support and Alimony Attorneys - Reed Law Firm, P.L.L.C. Whether you are seeking spousal support or challenging it, our attorneys are ready and able to assist you. We can provide important legal advice concerning your spousal support rights and possible obligations. It is important to consult with a knowledgeable and experienced attorney as soon as possible when spousal support issues arise. The facts of your case will determine your potential obligation to pay spousal support, as well as your right to receive spousal support. Spousal support is an amount of monetary support paid to the more financially dependent spouse. Payments are intended to equalize the living conditions of each of the parties after the marriage has dissolved. The terms “spousal support” and “alimony” (also “maintenance”) are generally used interchangeably. In determining the amount of spousal support, the court can consider whether one spouse may have given up opportunities in the job market in order to promote non-monetary objectives of the family, such as caring for children. Irrespective of the reasons, the “dependent” spouse should not have to bear the entire cost of not having worked outside of the home in the event that the parties separate. How is the amount of spousal support calculated? Generally speaking, the determination of the amount and duration of spousal support is based on a number of factors, including the need for and ability to pay spousal support. Section 20-107.1 of the Virginia Code governs spousal support, and sets forth the many factors that a Court must consider when determining the amount and duration of a spousal support award. Spousal support may be temporary and rehabilitative, or permanent. Even “permanent” support can be modified or terminated based on a significant change of circumstances in the life of the payor or payee. Pursuant to statute, each spouse is entitled to a reservation of spousal support for one-half of the length of the marriage. Even if you do not need spousal support now, you may require it in the future. Therefore, it is important to ensure that your lawyer reserves for you the right to ask for it later. If you have not been awarded spousal support, and no reservation of spousal support has been requested, the right is forever waived. Is an attorney necessary when dealing with spousal support issues? The laws on spousal support and the theories behind them have undergone significant changes in the last few decades. Some jurisdictions have adopted spousal support formulas which are utilized to arrive at a “guideline” spousal support amount. However, other jurisdictions leave it to the discretion and wisdom of the court to determine the amount and duration of a spousal support award. Any determination of spousal support should involve a thoughtful consideration of the tax ramifications involved with either paying or receiving spousal support. The attorneys of the The Reed Law Firm, P.L.L.C. will thoroughly examine your situation, and how the law applies to it, so that all of the appropriate factors are taken into account and your concerns are addressed. Whether you are seeking spousal support or challenging it, please contact us to schedule a consultation. In order to prepare for your family law/divorce consultation, please visit our Preparing for Your Family Law Consultation page, so that we can have the information necessary to best advise you.